On 20 September 2016, South Africa handed over the chair of the Open Government Partnership to France. 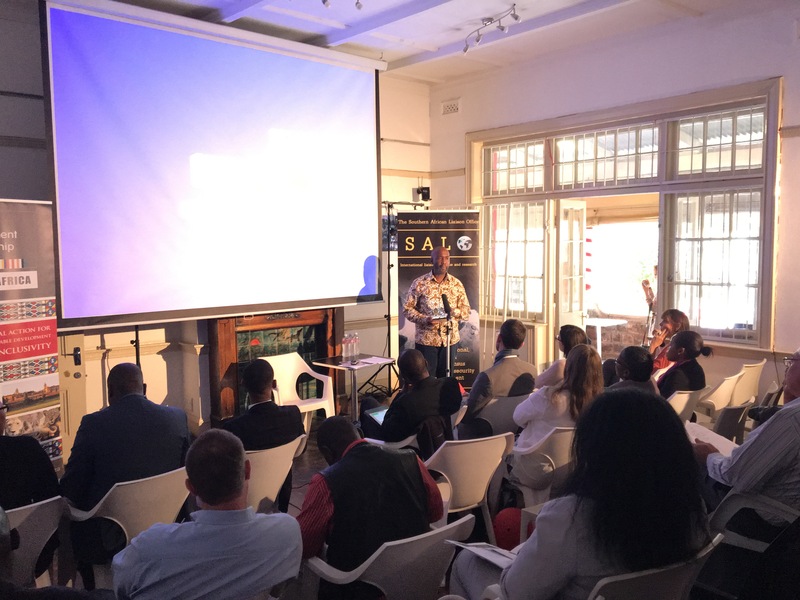 This half-day multi-stakeholder workshop looks at South Africa and France’s OGP commitments (and the APRM in the case of South Africa) with the aim of highlighting and sharing lessons on best practices around co-creation with civil society. This workshop explored these issues, in the context of the forthcoming OGP summit to be held in Paris from the 7th to the 9th of December 2016. Apart from a more pragmatic if still unclear enunciation of the indigenisation programme, based on the 2007 Act which established the requirement of 51% ownership by ‘indigenous Zimbabweans’ of all foreign owned companies, and small changes to improve the business environment and facilitate business dealings, there remains a major reluctance to engage in more substantive reforms demanded by donors and the MDC formations. These include the reduction of the civil service and providing more transparent structures to account for public sector expenditure and income from the mineral sector. There is even greater resistance to reforms in the political arena, such as electoral reform and greater adherence to the rule of law. These issues have long blocked the possibility of peaceful electoral change in the country, and been at the centre of opposition demands since the 1990’s. It is of course ironic that the opposition parties are supporting the position of the international financial institutions given the major damage done to the Zimbabwean economy in the 1990’s by the neo-liberal Economic Structural Adjustment Programme (ESAP). However, as elsewhere on the African continent, it is a symptom of the weakened state of the opposition that they are looking to such external agencies to impose a discipline on states, whose authoritarian politics will not allow for domestic accountability. Since 2013, the EU has recalibrated its engagement strategy with the Mugabe regime. From the early 2000’s until 2009 the EU imposed ‘targeted sanctions’ on the Zanu PF government. These measures were imposed on the basis of massive human rights and property rights violations. This changed once the Government of National Unity, made up of Zanu PF and the two MDC opposition formations, was established in 2009 under the GPA, with the EU steadily moving away from the sanctions measures and towards a re-engagement with the Government. This re-engagement was constituted by carefully directed financial assistance through the UNDP but not via direct support for the Government. For the UK specifically, which has a particular colonial history with Zimbabwe, it has had to tread a difficult path between, on the one hand, moving away from the language of ‘regime change,’ and on the other moving too quickly towards re-engagement on the basis of window dressing reforms. Nevertheless it is clear that in the event of a post Mugabe transition, both the UK and the EU will be very keen to develop a close relationship with Zimbabwe. This assessment has also been made on the basis of a loss of faith by both the EU and the UK in the strength and potential of the opposition parties. The US for its part has continued with the ‘targeted sanctions’ programme imposed in 2003 under the Zimbabwe Democracy and Economic Reform Act. At this stage, apart from the recent removal of a few names and entities from the sanctions list, the US position is unlikely to change. Zimbabwe is of little geo-political strategic importance to the US, and any changes in its position will hinge on the larger framework of its relations with South Africa. However the US has continued to try to influence change through continued, though reduced funding, to civil society and also through pressure for political change through economic reform. Moreover the US may in the future view Zimbabwe as an alternative option for maintaining a strategic position in Southern Africa if the political and economic instability in South Africa escalates into a deeper crisis. We have yet to see if this trajectory will change under a Trump Presidency. However the chances are that Africa will become even less of a priority for the new US administration accept in terms of particular areas of security, a feature which was already apparent during the Obama period. Given the current explosive character of South African politics, with President Zuma under increasing pressure to resign in a highly factionalised ANC, Zimbabwe is very low on the list of priorities of the ANC government. Moreover Zuma has moved towards increasingly friendly relations with Mugabe, within the framework of solidarity between the liberation movements in Southern Africa and the South African Government’s determination since the Mbeki period, to ensure its adherence to multilateral diplomatic interventions through regional bodies like SADC. South Africa’s recent announcement of its intention to withdraw from the ICC represents another move towards establishing closer relations with other African governments who have felt unfairly treated by this body. Moreover the decision is also aimed at correcting the perception of South African exceptionalism on the continent. Whatever pressure the South African government places on the Zimbabwe government is more likely to come through the negotiations on trade relations between the two countries. Currently South Africa is Zimbabwe’s largest trading partners with large investments in the mineral, retail and finance sectors, and has significant leverage in these areas. This may soon become apparent in the possible choice of the rand over bond notes as a currency alternative. As the country moves towards the 2018 elections, there is little sign of the demands for political and electoral reform being met by the Mugabe government. A series of demonstrations by the opposition parties in 2016 for electoral reforms has met with stubborn resistance from Zanu PF. This is notwithstanding the vicious factional battles that currently dominate the politics of the ruling party. This is a clear indication that whatever the issues that currently divide them, as Zanu PF moves closer to the 2018 election the factions are likely to once again find common ground, to protect their control of the state, their accumulated wealth, and guard them against the dangers of accountability for the massive human rights violations they have been responsible for since the 1980’s. The ruling party’s election strategy is likely to involve several components. Firstly, an unreformed electoral process that will ensure little possibility of electoral success for the opposition. Secondly, the ruling party will inflict its long honed strategy of selective violence and harassment that may well taper off as the election gets closer. Thirdly, the hope that the mega deals on public sector investment signed with the Chinese government will begin to bear fruit combined with increased support for small scale farmers who were the beneficiaries of the fast track land reform process. The increased, if still fragile livelihoods developing in the small towns, such as the expansion of more diverse sites of production, the deepening of local markets as a result of the growth of small mining concerns, and the opening up of more grazing land and opportunities for marketing, as the work of Ian Scoones and his colleagues has shown, could also be integrated into Zanu PF’s support network..
Fourthly the giving out of land to urban youth in the context of a restructuring of urban constituencies to overlap with the rural populations could further erode the dominant support of the opposition in the urban areas. This is a process that has been going on for the last decade at least, and is designed to ensure voting outcomes for the ruling party. This outcome is made more likely by the increasing informalisation of the formal sector and the loss of traction of the once powerful labour movement that was so central to the support base of the opposition MDC. 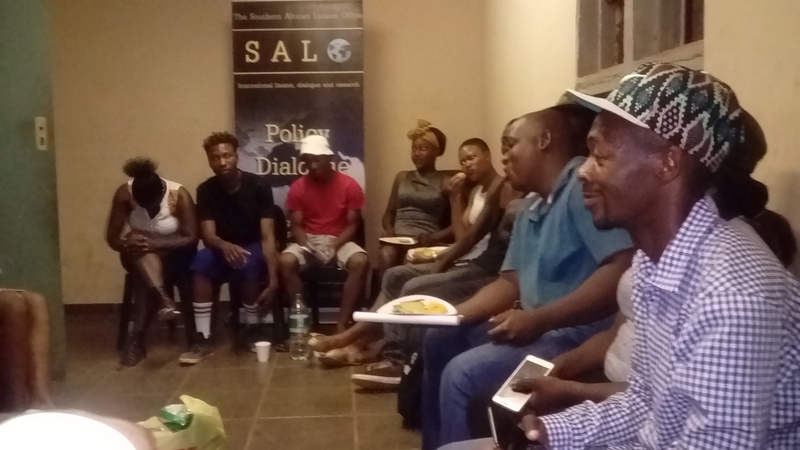 The recent hashtag demonstrations in the informal sector driven mainly through social media, however novel their forms of organisation and refreshing their non-party political complexion, at least in their initial phases, have already tapered off. They are unlikely to be a substitute for more sustainable actions from formal opposition structures. In its current form the opposition remains divided and fractured with little sign that they are moving towards a more coordinated coalition. As in the past there are ongoing disputes about leadership positions and regional representation. Moreover it is unclear whether the different formations even share a common enough vision and political agenda in order to unite the groups and their supporters. At this stage even though one section of the war veteran’s movement, a key part of Mugabe’s support base, has turned its back on him, there is no certainty that this defection will translate into support for an opposition coalition. The language of constitutionalism deployed by the veterans as well as Joyce Mujuru, Mugabe’s former Vice President, after she was expelled from Zanu PF and formed her own party, clearly resembles the discourse of the opposition MDC since its formation in the late 1990’s. However it remains to be seen whether both Mujuru and the veterans will throw in their lot with the dominant MDC formation under Morgan Tsvangirai. There is a strong likelihood that these dissenting groupings from Zanu PF could be fighting to ‘take back’ the party from a particular faction rather than to remove it completely from power. It seems likely that even without serious electoral reforms the major opposition parties will take part in the 2018 elections, unless they have an alternative strategy that will force Zanu PF to institute such changes. At present there is little evidence of such an alternative. The call for a National Transitional Authority to guide the country on an interim basis towards a free and fair election presents a very interesting possibility. However the political forces needed to bring such a process into play are currently very weak, and will need to be built up very soon in order to make this a viable alternative. Under these conditions the best way forward for the opposition would be to move more swiftly towards a coalition, particularly on the Presidential candidate, and to build up popular momentum, including a major roll out on voter registration. Such a process could push Mugabe’s party into strategic political mistakes and provide new openings to build up new pressure, both inside and outside the country, on the Zanu PF government. 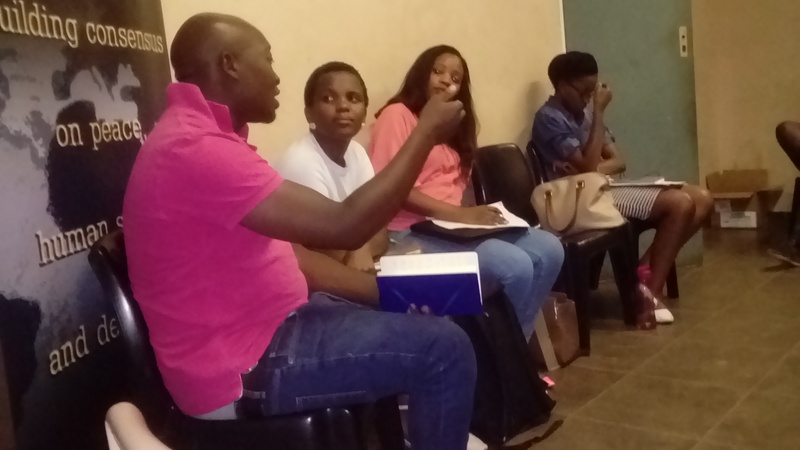 Such mobilisation must include work not only in the major urban centres but also in the areas resettled under the fast track land reform programme and the small towns, all of which have particular characteristics and sites of contestation. 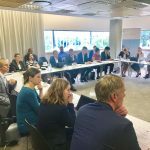 This is an enormous task in which civil society organisations could play a very important role. Faced with such great challenges at this point in Zimbabwe’s political history it is very easy to forget the enormous strides that the political opposition has made against the authoritarian politics of Zanu PF. From the late 1990’s to the present both the civic and political party opposition engaged in several forms of protest including: demonstrations; trade union strikes in the formal sector and more recently organised protests in the informal sector; continuous legal challenges against state abuses; the detailed reporting on state violence and the violation of the bodily rights of citizens; and lobbying for political reforms at national, regional and international levels. In the process a substantive opposition was built up which despite its many failings and defeats, fought elections on a peaceful basis and arguably won many of the major elections but were denied victory by state violence. Constitutional reform would not have advanced without the pressures of civil society. Activists have been imprisoned, intimidated, killed, and disappeared, while large numbers of citizens have been displaced by the political and economic policies of the state. These opposition interventions have not only changed the dynamics of Zimbabwean politics generally but also contributed to the disruptions in Zanu PF itself. As Zimbabweans assess their prospects for the near future and think about the legacy of these various interventions it would be more productive to think critically not only about what has yet to be achieved but also about the areas of progress in the battle against an authoritarian state. Writing from a position of defeat can often occlude such a broad and longer-term perspective and slip into political amnesia and defensive dismissiveness that speaks to a loss of historical insight. In moving forward understanding these insights will be as important as winning elections. 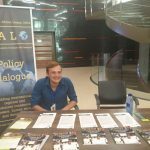 Brian Raftopoulos is Director of Research and Advocacy, Solidarity Peace Trust, and Senior Research Fellow, Centre for Humanities Research, University of the Western Cape. Members of the UN Security Council are slated to visit the Democratic Republic of Congo on Friday amid mounting international concern about increased violence and political unrest in the troubled Central African nation. President Joseph Kabila’s two terms in office are due to end December 19. But it remains unclear whether he will step down then and, if so, who might take charge. Members of a UN-backed group agreed last month to push back elections originally due in November to April 2018, but the process has been criticized for not legitimately involving opposition, as virtually all opposition parties boycotted the process. Augustin Matata Ponyo said on Monday he had resigned as prime minister of Democratic Republic of Congo in line with a political deal that extends Joseph Kabila’s tenure as president. Kabila was due to step down on Dec. 19 but his ruling coalition and part of the opposition agreed last month to delay a presidential vote until April 2018, citing logistical problems in registering millions of voters and a lack of financing. “I have just handed in my resignation and that of my government to the president of the republic in line with the spirit of the political accord signed on October 18,” Matata said. Just a few weeks after the Norwegian authorities said they will send refugees back to Somalia, the United Nations High Commissioner for Refugees (UNHCR) has urged Norway to change its mind. In a letter dated November 7th, but first reported on Wednesday night, the UNHCR wrote to the Norwegian government and said that the security situation in Mogadishu was far too unstable to warrant Norway’s decision. Just two days before the letter was sent, a car bomb attack near the Somali parliament building in Mogadishu killed at least two police officers, with some reports indicating that up to 20 people were killed. Thousands of Somali delegates in five Somali state capitals have elected a total of 76 MPs of the House of the People, commonly referred to as the Lower House of Federal Parliament. The elections kicked off earlier this month, as part of Somalia’s indirect electoral process agreed upon by federal and state leaders. According to the electoral model, some 14,000 “electoral college” delegates – 51 voters per seat of the 275-member Lower House – will elect MPs at polling sites in the state capitals – Garowe, Kismayo, Baidoa, Adado and Jowhar. A presidential election was postponed twice to November 30th, but delays in the formation of the Lower House could potentially push the presidential election back another month, according to sources familiar with electoral developments. Ahead of tomorrow’s Brussels conference for the Central African Republic (CAR), the United Nations Security Council emphasized the “significant role” the gathering will play in expressing the firm political support of international community and to secure essential resources to assist the country to implement key recovery and stabilization priorities over the next three to five years. Through a Presidential Statement agreed this evening, the Council also welcomed the recent visit of UN Deputy Secretary-General Jan Eliasson to CAR ahead of the international conference. Mr. Eliasson will participate in the Conference, co-organized by the European Union (EU), the CAR Government, the World Bank and the UN. It aims to raise funds for recovery and peacebuilding initiatives in CAR. The justice system in the Central African Republic (CAR) must be urgently strengthened if the country is to achieve lasting peace, a United Nations human rights expert has said, ahead of a major donors’ conference in Brussels, Belgium, tomorrow, which aims to raise funds in support of the country’s national peace-building plan. “Truth and reconciliation are also critical,” the Independent Expert on the situation of human rights in CAR, Marie-Thérèse Keita-Bocoum, said in a news release from the Office of the UN High Commissioner for Human Rights (OHCHR). Due to clashes between the mainly Muslim Séléka rebel coalition and anti-Balaka militia, which are mostly Christian, the country plunged into a civil conflict in 2013. Despite significant progress and successful elections, the CAR has remained in the grip of instability and sporadic unrest. More than 13,000 UN staff are currently based there as part of the UN Multidimensional Integrated Stabilization Mission in the country, known as MINUSCA. The mandate of the UN Interim Security Force for Abyei (Unisfa) was extended until 15 May 2017 on Tuesday, by the UN Security Council which recognised that the situation along the Sudan-South Sudan border remains a serious threat to international peace and security. Unanimously adopting resolution 2318 (2016), the 15-member organ reiterated its demand for Sudan and South Sudan to urgently establish an Abyei Area Administration and Council, as well as a police service that would take over policing functions throughout the area, including the protection of oil infrastructure. President Omar al-Bashir on Sunday described the South Sudanese government as Sudan’s “enemy”, in a sign of growing tensions over slow implementation of the joint agreements between the two countries. Addressing the force of the Sudanese Intelligence on Sunday, President Bashir said that South Sudan is still targeting his country and that it does want to implement the 2012 Joint Cooperation Agreements signed by the two countries. As the protracted conflict in South Sudan between the followers of President Salva Kiir, and the armed supporters of former Vice President and opposition leader, Dr Riek Machar, grinds on, new intra-fighting between factions of the opposition is adding another complication to any possibility of peace. Gunmen from Machar’s Sudan People’s Liberation Army-In Opposition (SPLA-IO) have withdrawn from Nhialdiu, a key town in oil-rich Unity state, which borders Sudan, after briefly capturing it. The Sudan Tribune has reported that the withdrawal from Nhialdiu, and its subsequent recapture by government troops, cast doubt on the possibility of resuming oil production in the area due to the ongoing conflict and the town being in a war zone. The United Nations Secretary-General Ban Ki-moon warned of the “risk of mass atrocities” in South Sudan, should renewed violence in the world’s youngest nation continue. Secretary General of the United Nations Ban Ki-moon called, in Marrakesh, to push forward the process of the United Nations for the settlement of the conflict in Western Sahara, in accordance with the resolutions of the Security Council. “Ban Ki-moon underlined the need to push forward the process of negotiations in Western Sahara as expected in the relevant resolutions of the Security Council,” said the United Nations in a statement published at the end of the meeting of the head of the United Nations and the King of Morocco Mohamed VI in Marrakesh, on the sidelines of the COP22. The resumption of negotiations was required by the Security Council which underlined in its resolution (2285) of 2016, extending the mandate of MINURSO until 2017, the need to continue the process of preparation for a fifth round of negotiations on the final statute of Western Sahara. Western Sahara opposes the bid of King Mohammed VI to rejoin the African Union and accuses Morocco of unlawfully occupying territory that does not belong to it. After Spain withdrew its colonial forces in 1975, Morocco sent troops to the area and annexed two-thirds of Western Sahara based on historical claims that the region was originally part of its territory. When the African Union recognized Western Sahara as an independent country in 1984, Morocco withdrew its membership. However, king Mohammed VI has recently applied to rejoin the AU and had been touring African countries to raise support for his request. 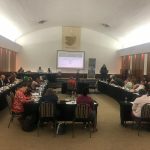 The World Bank’s Board of Executive Directors approved a $35 million grant for the Social Safety Net Project to support the Government’s response to the drought in the South of Madagascar. This additional financing will benefit more than 320,000 people in the five most affected districts and help them recover from the effects of the drought caused by El Niño. It fits within the emergency and early recovery strategy prepared by the Government with the support of the United Nations. The population of the South has suffered through several successive years of poor crop yields starting with a major locust invasion in 2013. As a result of the El Niño, rainfall has been about 75 percent lower than the average of the last 20 years, causing harvest losses of up to 95 percent, over 1 million people to be food insecure, 35,000 children under 5 to suffer from moderate acute malnutrition and another 12,000 from severe acute malnutrition. King Mohammed VI is heading to Addis Ababa by Friday, November 18 before heading to Madagascar for the International Francophone Organization Summit, reports Le360 Afrique. The monarch spent a brief period of time in Marrakech to attend the COP22 and preside over the African Summit that was part of the climate change conference and attended by many African heads of state. King Mohammed VI is now on his way to completing his tour of the continent, beginning with Ethiopia and then onto Madagascar, where the International Francophone Organization Summit is set to take place on November 26 and 27. This Morning, the High Court of Swaziland will hear arguments in Sacolo and Another v Sacolo and Others, a case concerning the validity of the common law marital power which denies married women the right to contract, administer property, and sue or be sued in court. The case also concerns a challenge to sections 24 and 25 of the Marriage Act 1964 which imposes on African spouses the customary consequences of marriage while granting to non-African spouses the common law consequences of marriage. 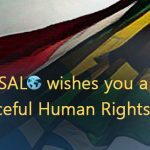 “The time has come for Swaziland to scrap its common law marital power rule and section 24 and 25 of the Marriage Act to bring it in line with the rights guaranteed under its Constitution and international law,” states Brigadier Siachitema, Women’s Land and Property Rights Programme Lawyer at the Southern Africa Litigation Centre. The International Monetary Fund (IMF) has lifted sanctions against Zimbabwe after the southern African country settled its arrears, a report said on Tuesday. According to New Zimbabwe, the IMF confirmed on Monday that it had removed the remedial measures against the country. The IMF, however, maintained that the move did not mean that it would consider new requests for funding from President Robert Mugabe’s administration. The international lending institution said that Mugabe should implement the reforms first and also repay other international creditors, including the World Bank, and the African Development Bank (AfDB). Zimbabwe’s three million or so diasporans almost certainly won’t be allowed to vote in the 2018 elections unless they come home twice – once to register, once again to vote, according to reports on Wednesday. That’s despite a provision in the new constitution guaranteeing all Zimbabwean citizens the right to vote. * Three years after the constitution was adopted at a referendum, the electoral law has still not been aligned with the constitution – which is why, as it stands, Zimbabwean voters based outside the country will have their vote denied. Congolese President Joseph Kabila on Tuesday defied calls to step down when his term ends next month and vowed during remarks to lawmakers to defend his government against violent overthrow. His defiant speech to parliament came as criticism grows following a controversial deal between the government and fringe opposition groups that effectively extends the president’s term in office and delays elections until late 2017. The deal agreed last month followed a “national dialogue” that was aimed at calming soaring political tensions but was largely boycotted by leading opposition figures. Community violence reduction (CVR) programmes are not well-known, but are proving to be an effective peacekeeping tool, senior United Nations officials said today during an event to commemorate the tenth anniversary of the launch of CVR in Haiti. He said that an inclusive approach to the reduction of violence is a goal for the entire UN family. Disarmament, demobilization and reintegration (DDR) has assumed a central role in achieving that goal over the past three decades. The endurance of DDR is mostly due to the flexible approaches it has taken to adapt to the changing nature of armed groups. Kenya’s decision comes after calls by the international community to postpone the closure on humanitarian grounds. Kenya says it will delay by six months the closure of the Dadaab refugee camp, the world’s largest, after calls by the UN and aid groups to postpone it on humanitarian grounds. Dadaab, currently home to an estimated 350,000, was opened in 1991 as a temporary shelter for people fleeing civil war in neighbouring Somalia. Yet, prolonged violence and insecurity turned it over the years into a sprawling tent city. Parliament, Wednesday, 16 November 2016 – The Portfolio Committee on International Relations and Cooperation says it is time Africa highlighted in policy formulation the challenge posed by the brain drain, which continues to impoverish the continent. 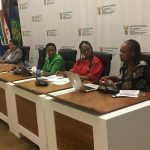 The call follows a briefing the Committee received on Wednesday from the South African Council on International Relations (SACOIR) where it was highlighted that the brain drain, among other challenges, erodes professional skills, knowledge and the capacity in Africa. The Chairperson of the Committee, Mr Siphosezwe Masango, said the impact of the brain drain on development is untold. “The Western world offers lucrative scholarships to the brightest young minds on the continent and, on completion of their studies, offers them citizenship. When these young people invent things, they are credited as western inventions,” Mr Masango said. “These are African kids who should be doing work to advance their continent and contribute to world stability. Future policy should address this challenge at university level. An impression should never be created that the western educated are better than the rest,” he said. 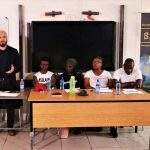 The Committee asked SACOIR to engage the question of what constitutes South Africa’s national interest as well as determining what foreign policy should look like in the future. Mr Masango said the Council will supplement and enrich the work government is doing with the world to the benefit of South Africans and the region. “All we need to do is make sure that South Africans understand foreign policy and how they should relate to the world. They should also understand what constitutes our national interests,” he said. Former Deputy Minister of Foreign Affairs Dr Aziz Pahad led the SACOIR delegation. SACOIR also briefed the Committee on illicit financial flows, insurgency, the role of the media, and the role of diplomacy as an alternative to war and instability. UN rights experts urge end to ‘unjustified’ ban on protests The ban was imposed in September after a series of large demonstrations that were brutally supressed by security forces, reportedly leaving dozens of people dead and injured GENEVA, Switzerland, November 3, 2016/APO/ — A group of United Nations human rights experts* has called on authorities in the Democratic Republic of the Congo (DRC) to lift an “unjustified” ban on protests in the capital, Kinshasa, amid social discontent over delayed presidential elections. The ban was imposed in September after a series of large demonstrations that were brutally supressed by security forces, reportedly leaving dozens of people dead and injured. “The rights to freedom of expression and freedom of peaceful assembly and of association are fundamental rights guaranteed by international law. These rights can only be restricted in very specific and narrowly defined circumstances,” the experts said. Concerted efforts would be needed to avert any reversal of the commendable gains achieved in Africa’s Great Lakes region thus far, the Secretary-General’s Special Envoy told the Security Council today. Special Envoy Said Djinnit was briefing the Council on the Peace, Security and Cooperation Framework for the Democratic Republic of the Congo and the Region (Framework Agreement), and on the high-level meeting of the Regional Oversight Mechanism, held in Luanda, Angola, on 26 October. Signatories of the Framework Agreement had made efforts to implement their commitments despite outstanding challenges, including the continuing activities of negative forces in eastern Democratic Republic of the Congo, he noted. With militant group al-Shabaab waging war and the government suppressing press freedom, being a journalist in Somalia is a difficult, and even life-threatening, job. The Committee to Project Journalists’ 2016 Global Impunity Index “spotlights countries where journalists are slain and the killers go free.” For the second straight year, Somalia is ranked as the worst country in the index. The annual ranking is based on the number of unsolved murders (cases with no convictions) over a 10-year period as a share of a country’s population. It defines murder as “a deliberate attack against a specific journalist in relation to the victim’s work,” and excludes cases where journalists are killed in combat, street protests, or while covering other dangerous events. The Burundian government has served notice that it could withdraw its troops from the African Union (AU) force fighting militants in Somalia, they cited the non payment of troops as the main reason for the threat of withdrawal. The Defence Minister, Emmanuel Ntahomvukiye, on Thursday told parliament that the soldiers had not received their monthly allowance which is supposed to be paid by the European Union (EU). According to him, the $800 (£640) allowance was in arrears for 10 months. Over that period, soldiers are only receiving their low army wages. France on Monday formally ended a peacekeeping mission in Central African Republic, hailing it a success despite sporadic outbreaks of violence in its deeply troubled former colony. The move came just hours after about 10 people were killed in clashes between armed groups Sunday in the restive Muslim PK5 neighbourhood of the capital Bangui, according to local sources. The toll had yet to be confirmed by the 10,000-strong UN force MINUSCA, which will be alone after France’s departure in facing the militia groups terrorising civilians. Thousands of people have been killed and 4.5 million forced from their homes since the conflict erupted in 2013. United Nations Deputy Secretary General Jan Eliasson said on Wednesday (November 2) during an address to Central African Republic‘s National Assembly that peacekeeping mission MINUSCA would impartially protect the population of the country and uphold their right to peacefully protest. Eliasson arrived in Bangui two days after the French military operation Sangaris, meant to end sectarian violence in 2013, officially folded and handed over some responsibilities to both MINUSCA and African Union forces. Eliasson was greeted by Central African Republic (CAR) President Faustin-Archange Touadera at the presidential palace before giving a speech to members of parliament. President Barack Obama has extended US sanctions on Sudan for another year, saying Khartoum’s policies remained an “extraordinary threat” to the national security of the United States. Sudan has been subject to a US trade embargo since 1997 for its alleged support for Islamist groups. Al-Qaeda leader Osama bin Laden was based in Khartoum from 1992 to 1996. In recent years, the Sudanese government’s scorched earth tactics against ethnic minority rebels in Darfur have been cited as a reason not to lift the sanctions. Sudan hiked prices of petrol and diesel Friday by about 30 percent as months of fuel shortages caused by a foreign currency shortage have put pressure on the country’s already sanctions-hit economy. The oil ministry raised the price of one gallon (nearly four litres) of petrol to 27.5 Sudanese pounds ($4.30, 3.90 euros) from 21 and diesel from 14 to 18. Fuel price hikes have been a sensitive issue in Sudan, which has seen its economy badly hit since 2011 when South Sudan gained independence and took nearly three quarters of the formerly united country’s reserves with it. Kenya on Thursday accused the United Nations of bowing to pressure from certain countries by setting up an investigation that pinned the blame for peacekeeping failures in South Sudan on the Kenyan force commander. UN Secretary-General Ban Ki-moon on Tuesday sacked Lieutenant General Johnson Ondieki after the investigation showed that peacekeepers failed to protect civilians during heavy fighting in Juba in July. South Sudan President Salva Kiir has halted a decision to create more new states in the country, underscoring the level of limited involvement of the community in the decision making processes. According to a presidential order in late October, President Kiir formed a committee under the chairmanship of his controversially appointed First Vice President Taban Deng Gai to quickly carry out consultations with communities and prominent figures in the newly created two states of Lol and Eastern Nile to find their views and come out with recommendations to managing disputes. At a rocky outpost in Western Sahara, a new generation of soldiers who have never known war are mobilizing as tensions resurface in one of Africa’s oldest disputes after a quarter century of uneasy peace. Young Sahrawi troops man new desert posts for the Polisario Front, which for more than 40 years has sought independence for the vast desert region – first in a guerrilla war against Morocco and then politically since a ceasefire deal in 1991. Now a standoff with Morocco, which controls the majority of Western Sahara, is renewing pressure for a diplomatic solution to ensure footsoldiers like Sidi Ahmed Brahim don’t return to fighting as the last generation of commanders once did. Aged 25, Brahim is as old as the ceasefire and his patience with United Nations efforts to end the decades-long impasse and prevent new desert clashes is wearing thin. A severe drought in southern Madagascar has led to major food shortages across the island nation, raising the risk of widespread famine. UN agencies warned of a potential “catastrophe”, as around half of the population in southern Madagascar – nearly 850,000 people – are experiencing “alarming” levels of hunger. This is the third consecutive year in a row that crops have failed and water availability is extremely low. The drought has left around 20 percent of households in southern Madagascar experiencing emergency levels of hunger. The UN said they will declare a state of famine if the situation worsens. Like the rest of the Southern African region, Madagascar has been affected by two successive years of drought, worsened by the El Nino phenomenon since September 2015. This has negatively and deeply impacted the three regions of the Grand Sud which is home to approximately 1.63 million people. The one year humanitarian response plan initiated in February 2016 was budgeted for a total amount of US$ 69.9 million, and has so far only been financed to the tune of 52%. Nonetheless, the impact of ongoing humanitarian response operations demonstrates positive and encouraging results. Between February and August 2016, the total number of people facing severe acute malnutrition decreased by 90,000 and the nutritional status of children under 5 years old generally improved. Furthermore, the number of pockets of nutritional insecurity reduced from 32 to 17 communes between February and June 2016. South African businesses in Zimbabwe were safe and there was need for the two Southern African neighbours to improve the flow of investments in both directions, Zimbabwe President Robert Mugabe said on Thursday. Stanbic Bank Zimbabwe, a unit of Standard Bank, has advised its depositors to sign off on new service terms that include accepting transaction settlements in any currency deemed as legal tender as well as to allow the bank to avail cash withdrawal services subject to availability. Zimbabwe’s central bank is carrying out a public awareness campaign ahead of the introduction of local bond notes this month. The bond notes, a local currency said to be backed by a $200 million (R2.68 billion) Afreximbank facility will have equal value to the US dollar on a 1:1 basis. ncreasing Chinese investment in everything from small food enterprises to massive railway projects across Africa has drawn criticism and warnings of a future dependency on Asia’s superpower. According to a recent report by Afrobarometer, almost two-thirds (63%) of Africans say China’s influence is somewhat positive or very positive, while only 15% see it as somewhat or very negative. A refugee-run restaurant opening in Venice this week hopes to exploit Italians’ renowned passion for food to improve community relations, one of its founders said on Thursday, as the arrival of thousands of migrants stokes tensions around the country. Their stories inspired Hamed Ahmadi, an Afghan refugee living in Italy, to open Africa Experience, a restaurant managed and run exclusively by refugees. Canada’s soon-to-be-announced peace mission to Africa will attempt to tackle “root causes of conflict” because going to fight is not justification enough for deployment, says Prime Minister Justin Trudeau. “Canada has an awful lot to offer other than just stopping people from shooting at each other,” Trudeau said Thursday, though he added that is “an important and one of the first things that we want to do” in any engagement. Africa is gearing up to host a major United Nations climate change conference in Morocco from November 7. This 22nd Conference of the Parties (COP22) has been dubbed the COP of Action, with delegates’ focus set to be trained on making progress on the issues agreed on in Paris last year. Climate change is a topic of special interest to Africa, which is heavily agricultural and is feeling the impact of deviations in weather patterns. To prevent a disaster of epic proportions, the continent has joined global efforts to lower carbon emissions in an effort to secure the future. We spoke to Hans Jørgen Koch, the director of Nordic Energy Research, an institution under the Nordic Council of Ministers, on what Africa can learn from the green efforts underway in Norway, Denmark, Sweden, Finland and Iceland.